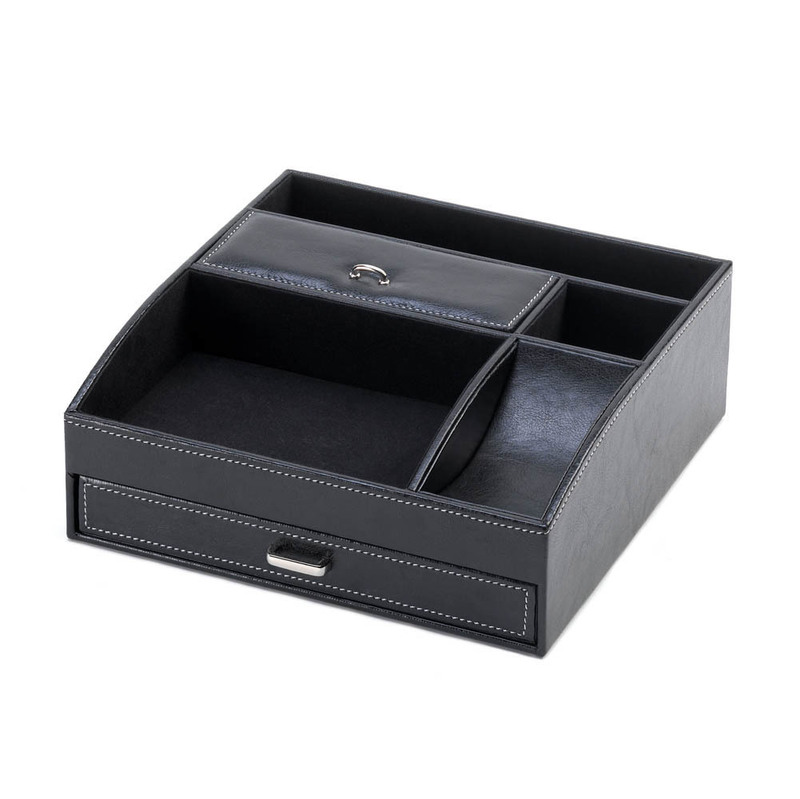 Keep your desk neat and orderly with this rich black faux-leather organizer. It features multiple storage compartments, including a pull-out drawer and covered section. Item weight: 1.8 lbs. 9 7/8" x 9 3/4" x 3 1/2" high. Plastic, vinyl, and paper. UPC: 849179015992.